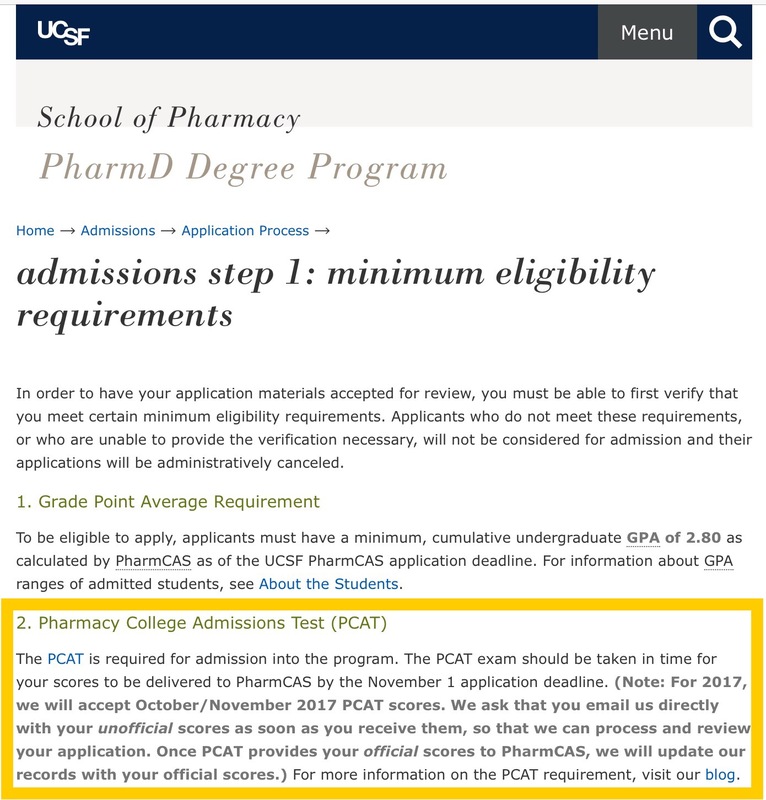 Reports From The Pharm: PCAT: We WILL Accept October/November 2017 Scores! PCAT: We WILL Accept October/November 2017 Scores! We've received many questions lately about PCAT testing dates. In an ideal world, you would have already taken the PCAT in order for your scores to be available by our November 1 application deadline. Or even better, you could take the PCAT anytime you wanted, right? Unfortunately, we do not live in an ideal world. The PCAT is only scheduled for very specific testing dates. For students planning to enter in 2018 (and planning to submit your application by November 1, 2017), we will accept October/November 2017 PCAT scores. It takes about 4-5 weeks for PCAT to submit your OFFICIAL score to PharmCAS. Our application deadline is November 1, 2017. 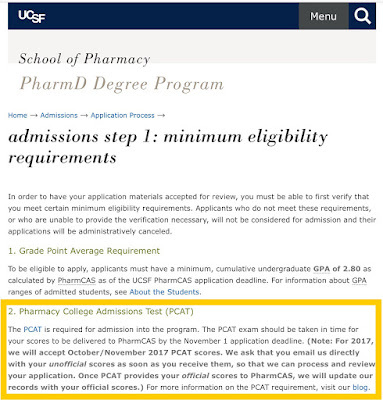 If you take the PCAT during the October 23 - November 3 testing period, we will ask that you email us your UNOFFICIAL score (that only you have access to) at PharmacyAdmissions@ucsf.edu so your application can be processed and reviewed. Then we will replace the UNOFFICIAL score with the OFFICIAL score, once it’s eventually delivered to PharmCAS from PCAT. Unfortunately, PCAT exams taken in January are too late for consideration. Please don't hesitate contacting us if you have any questions.